HI EVERYBODY! This is my final post of 2015 and what a year this has been. I promised myself earlier this year that I would try to sew more and I’m happy to say that I have. 24 new outfits added to my overflowing closet this year alone! I’m going to double that number in 2016. 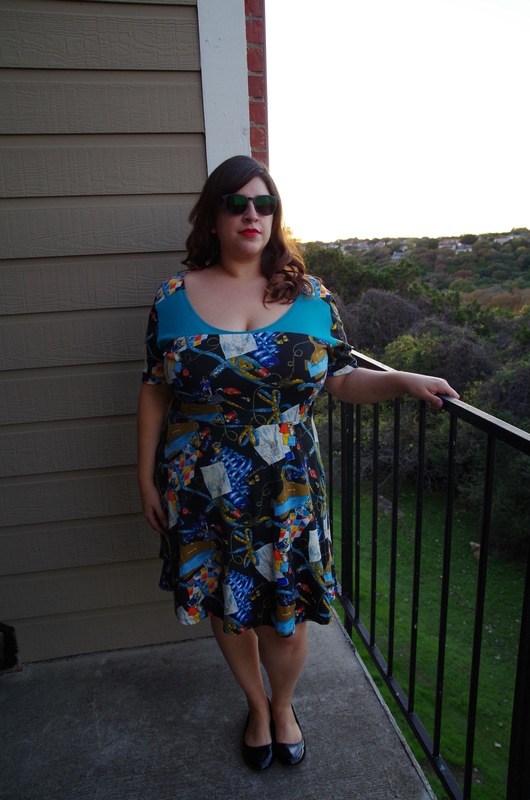 I wear everything I post on my blog to work but for obvious reasons, I cannot wear this dress. 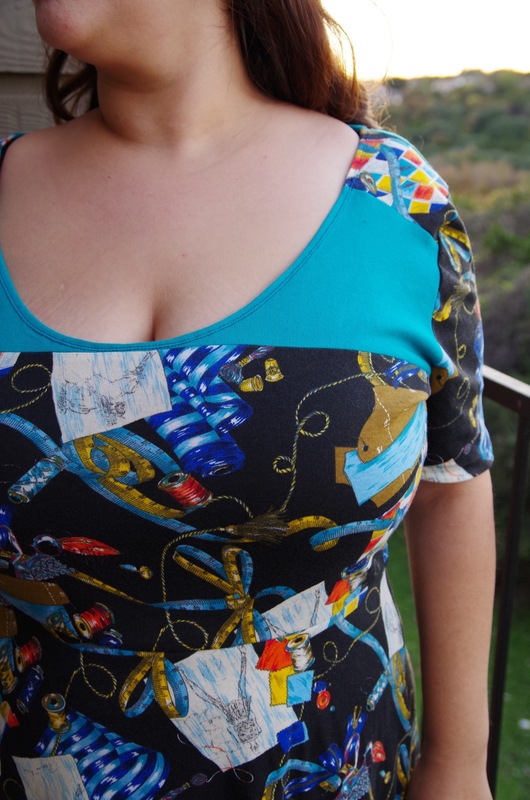 The fabric didn’t have enough stretch so when I tried to stitch the neckline it looked strange. Now all you can focus on is my cleavage. Oh well. The sad thing is, I REALLY like this dress. I found the fabric at Savers for $2 for a 2 yard piece. If you closely you can see the fabric, which is a fashion designer theme. Love it! I might scrap the top and just use it for the skirt. 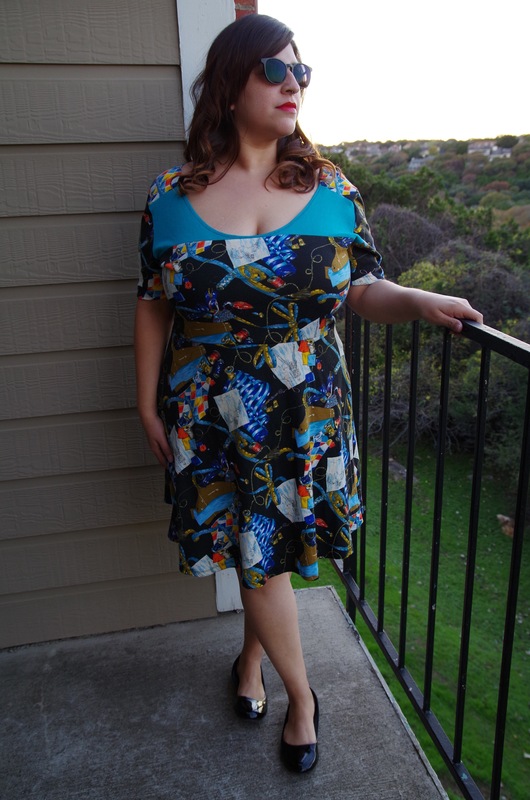 I originally cut a size 24 but ended up bringing it to a size 20. Tomorrow is my 33rd birthday and I’m super excited! I hope everybody has a safe and Happy New Year! Until next year, Happy Stitching! I LOVE this fabric!!! 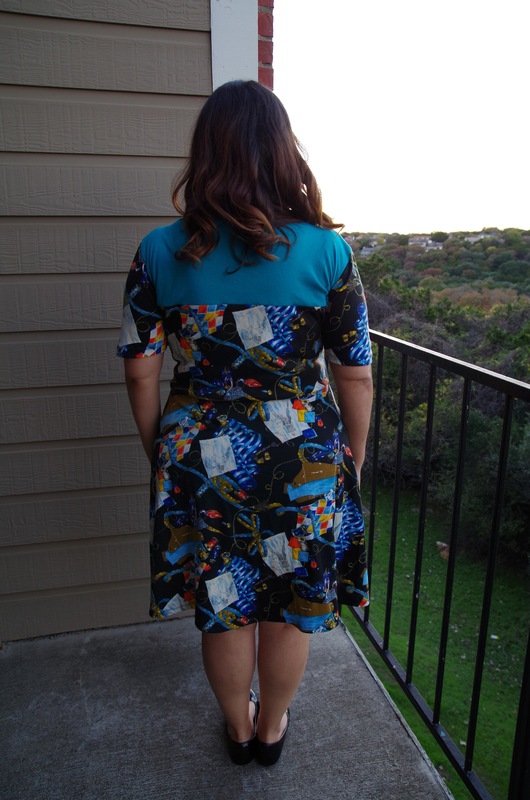 One of my goals for 2016 is to sew more…even if I only sew one thing. Happy Birthday! And a lovely dress as well!